But you should put up vedios on hoe to draw. In love with this app I’m still a bit awful but this app has helped me soo much! This is a pretty good paint program, that is fair and decent. At first I thought to myself how the heck you “draw” on a smart phone? But it gives plenty of free room and zoom abilities to work on. It allows you free ways in accessing the extra brushes that you can use and has quite a selection of materials to choose from. Most free program limited you so much that they hinder creativity but this give so much to work with off the bat. And it coincides with clip paint studio so you can continue your work on the pc at home. Really neat I give it five stars. I would like to see a feature that will allow you to be able to callaborate with other artist that has the app. Instead of having to download or having to take a screen shot when your doing some sort of collaboration , you can have either create a public or a private servers, so your able drawing with friends and other artist. They can make a account on the app without using any media accounts so it can be fair for everyone especially for the people who don't have any social media. The public room: if your the one who created the room you are able to kick people out who are misbehaving, drawing disturbing things or violating rules. There can be a " eye" icon somewhere around the way screen, able to see who is in the room and should be an option for people to be able to draw or not. Private rooms:you are able to add anyone to the private room, once the invitation is sent to the person, you must wait till the person excepts the invitation and joins into the server. Therefore there will be the limit of five teen to twenty people, and just in case for any problems, add a invitation request for the people who want to draw and the creator must either decline or exept it for the person to be able to draw. That's a bit of the idea there, I would be very happy to see this added to this app. Another idea! I would like to see an option that your able to animate, that would be an amazing feature for people who would like to animate but could not find the perfect animating app! I don’t understand how this haven’t found me till yesterday it’s amazing like absolutely nothing else can explain this app. If it weren’t for this app, I probably wouldn’t have become the artist I am now. I feel as this drawing app has inspired me to draw more and more. I love this app so much I hope it keeps improving I use it on a daily basis and have a blast exploring all of the features and I’m still finding new things even though I’ve been using the app for a year. I Wish I Could Use This To Draw Forever It’s So GOODDDDD!!!!!!! It’s amazing on how you make this you can make your own design! This is an amazing app. I’ve experienced no problems with it AT ALL! There are some features I want, but this is just... incredible?? I love this. I suggest it to anyone looking for a decent drawing app! But hey, you do you. No major cons. ... Edited: Except I don’t know how to bring my art down! Sure, no problem when I have a light doodle. But I’m making an art trade with a few people, and like??? I make the head too high, but the facial features are TO DIE FOR. So someone, help..? If you’re reading this, have fun on your art journey! I enjoy all the features of this app. There is a very large variety of tools and option. It even puts a movie together for you. My only problem is, is recently my movies haven’t been coming out right. Especially when I download or save it. The video will claim its an amount long than be blank till the end and go longer. When you download it the video is completely blank. I also can’t find a way to contact the creators about that so..... I guess that’s another important problem. This app is amazing to draw with when I’m on my way to school I draw on this app all the time. Very good tools, not too glitchy, my one problem is that you kind of kneed an ipen to you this successfully. I highly suggest this app! This is the best free drawing app I could find, and it's pretty great. I think you should really get this app, even to just try it out. There are quite a few adds and you have to watch some to get access to some brushes. But overall I recommend this app for art! My best friend! But she has daddy issues. I love basically everything about this app! The tools, the price (free), everything! It’s so easy to use and I love it. But recently I’ve been getting storage issues and it’s not just my phone??? Because I’m being forced to delete apps and pictures because of it? But everything else is THE BEST! It’s really easy and simple to use! But also has enough options to make any type of drawing! I use this app a lot and it’s fairly easy to use.If your looking for a easy drawing app I suggest this one! This is a very good app for artists like me because it helps you do things you can’t do in real life. Download this app now if you are an artist!!! This is a great app so do all kinds of drawings on! I don’t really do reviews but this app deserves it! Really great for starter artists! This app is amazing and for free it makes it even better the functions are easy to use and understand even as a beginner! Thanks this app is a bundle of fun, especially for me an aspiring digital artist!!! I really like to use this app to practice my digital art. Really love it and it’s free!! Although I would like to post my art work without having to login into my twitter or fb!!!! I 98% would recommend this app :). It is so easy to get use to it and all the tools are very helpful when designing or drawing. I 100% recommend this app to beginners and even more advanced art students. I use this to make comics, illustrations, AND EVERYTHING! I love this and completely support it. Amazing art app... and it’s FREE! This art app is amazing! For just watching a 30 second ad, you have full access to all brushes, unlimited layers, full palette, etc. for 18 hours. Even though it is “timed”, 18 hours can get a lot done. I wish more art apps did this for their free version, instead of locking people out of essential tools or limit the amount of layers. I have struggled to find a good free art app that is just as good as ones that cost money, I have found this app and think it’s perfect in every way! Lots of tools and filters to work with. Not only can you create amazing digital art but you can also use this to edit your photos. Love!! It’s basically having paint tool sai on a phone! For a free app, it is amazing. It has all the features you need to make a professional looking drawing, and despite the ads, which really are not an issue, it runs very well. This is such an amazing drawing app I love that you can use drawings on paper and coloring them here it’s great. I also love the blur effect it helps me make ombre's. Really lets my inspiration run free! I’ve been drawing digitally for about 2 years now and have tried several different mobile drawing software but none of them compare to ibisPaint. It’s tricky to get used to when you first start, especially if you are like me and do not know much about digital drawing. But in no time I had a pretty firm grasp on how everything works. I honestly cannot praise this app enough! Thank you guys!! As a person who draws a lot it is literally the best thing ever. I literally couldn’t even believe that this was free! All the art programs and softwares were all either too expensive or really bad, so I was really glad that this was both free and very useful. The only problem for me was that there was no way to blend two colors smoothly together. It really bothers me that I had to use smudge and blur over and over again just to blend two colors together. 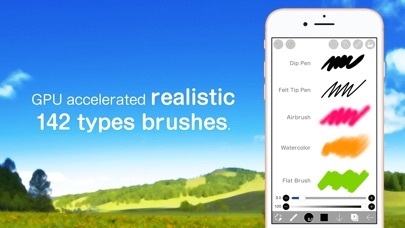 This is a good app for anyone that loves to draw, sketch, or trace! I create fansigns for slimers, and this is a really good app to use. It’s pretty simple, but yet a little bit confusing. This is very helpful I use this app on my phone all the time and I'm getting way better I'd say. The brushes and the wand helps so much. Great job! It’s such a fantastic app to make all my digital art! Perfect for any artist!!! I love this man! Firstly I can send pictures and fan art to my friends WITHOUT using flipaclip! This app is great thanks! It's cool, I guess. 🤷‍♀️ But, uhm, so many features, hard to get used to, lol. Also, how do you move layers? That’s all I have to say about this app. It’s just wonderful! I use it all the time and I can’t think of a single thing wrong with it. It makes it so much easier to draw with the editing it gives you all the brushes and even if your not to good at drawing this app could make you a perfeshenal...if thats how you spell it lol I love drawing anime heads and flowers at first I was terrible and did not know how to use the tools and now I explored it some and now I understand how AWESOME it is i use this app every day and its for free!what!this app is awesome!! !if you have not got it I recommend you get it!!!! This is a awesome app. I love it sooo much! Keep up the good work! Its pretty good. But i give it 4 stars because when i try to save the video, i go to camera and its not there. Im ether being an idiot or it just doesnt let you save it...but good app overall. It’s amazing it’s everything you would expect from a good drawing app. Though I would like one thing added please, it’s a sharper drawing tool. If you add that I’ll love you forever. I love it for drawing and relaxing. It Makes me much happier. And this app is my favorite. I still don’t know how the some of the mechanics work but, I’ll figure them out. Thanks! I enjoy this app so much! I love how you can see the top ten drawings, but the one problem is not all of them are clean. I know I enjoy them so I can see all the amazing people out there but please put a restriction on some of them thank you! All I wanted to say is that this app is AMAZING! Because this can entertain people/drawers! And it’s not big so u can stick it anywhere! Since I have an IPhone but this is amazing! I❤️IBISPAINT FOREVA! The app has let me use my creativity in a different way, usually if I want to give texture on paper I have to use an eraser and then it all goes down hill but with this app I can smudge and if I mess up I can hit the redo button as much as I need. This app has everything to filters, different brushes, paint, layers, etc. This app would be best for anime and, basically, everything. Would recommend to every artist. This is absolutely perfect! It has everything to make my art complete. This is the best experiences I’ve had with mobile Illustration Apps, its got the tools, AI, options everything is really well made, however there are some tools missing like gradient fill. Still a wonderful app though. I use this for all my drawing and edits. I have yet to find a drawing app. Everything looks so smooth and runs properly. Hi so your app is amazing and I’ve been using it a lot but the brush strokes you have to buy them or just watch a video. But I don’t have money and I want to use the the strokes every time without watching a video. I love it but can u put google+ thing instead of twitter an Facebook???? My favorite drawing app is just the best!! Better than most pro artist apps! I absolutely love this app! I’ve been looking for a decent app to make illustrations on, and this one is the best! Unlike most apps, even without the subscription the app is still wonderful and easy to use. With many, many features! The unlimited layers are a big help to break things down or sample ideas. The verity of brushes help to create spectacular details and effects. And that’s just the tip of the iceberg! No need to pay for Paint Tool Sai or similar thing, everything you need is right here! This is an amazing app, that I’ve recommended to my all my friends when they said they wanted to draw. So many different tools and it’s competition system really seems to make my art better. I love it all. I personally love this app. It is a great drawing app. My personal favorite. But keep improving and it will be even better! I was using this great fantastic app and it keeps crashing! Please fix!!!! Best Art App Hands Down!! I’ve been looking for drawing apps for so long I’ve been trying and trying and trying until one day I found this app! Some other apps wouldn’t let me zoom in or use different drawing tools or add more frames or wouldn’t give me a lot of color choices! But when I found this app I knew I would never stop drawing!! It was easy for me to get used to ibisPaint to! And if I love it, I bet you’ll love it to!! YOU GUYS NEED A Gradient Tool! It would help a lot. I only use MediBang for the gradient tool. I really hope you guys add this! Maybe make it not for prime. Heh. This app is Soo good, that I don't think there are any bugs to fix. Most free drawing apps I use are just horrible, but this one is great. Thank you Soo much for making this free so I could use it with no purchase. Honestly I love this app so much because it lets you express your ideas in such a creative way. Best drawing app, 10/10. Procreate (Costs money) is terrible compared to this! Love the app. It has helped me improve on my art skills and a lit more. It took a while to learn where everything was but you get used to it! Definitely should download if you are a artist in training! The only thing that could make it better is if it had a personal trainer. Been using it for years and it’s still very useful! I love this app, it's amazing! But sense the update it's been very slow and glitchy, and the app keeps on closing itself. It’s a really great app. I’ve used it for a while, and the payment for brushes was worth it. The best drawing app by far! Makes me feel more confident in my art skills everything is great with this app! And updates are always awesome too! IBIS Paint X is very useful than other digital drawing apps- it has the lasso tool, many brushes- eraser sizes, blur tool, layers.. and much more to find out. Although it is brillant for digital drawing, it does have some bugs here and there. But, the app is still updating- so the bugs will always be fix on! It’s really good but a little stiff you know but besides that it’s awsome! It’s awesome but one thing.. It was really good for drawing and best thing for getting thing done. In the app it was really good because it didn’t cost money it free and they have the best about drawing with getting creative. Hi! I’ve started using ibis for quite a while now, and there’s so much useful and amazing features. I do have a few suggestions though: 1. Please add a feature to download brushes from online!!! Ever since the new update that enabled us to download fonts online, I keep wishing for a way to download brushes like you can on SAI Tool or Photoshop. Ibis would be near perfect with that feature!! 2. Is there a way to make the lines stop being blurry every time you use the lasso tool? Whenever I select an area then rotate the selected area, the lines become way too blurry. 3. Please add a feature for a watercolor look! For example, on medibang paint, there is a feature where whenever you make a line or draw something, a frame line(?) will appear around the drawing. I think it would add to the watercolor feel of the drawing or the brush, so please consider! Thanks★! I love this app but... when I go to the paint it only has red green and blue... plz fix it to the way it once was. Thank you. I love your app though!!! The best app I’ve seen on planet earth. Nothing so far will convince me otherwise. This is a very professional app that’s free for anyone to use! I would recommend this app to anyone who wants to draw digitally. You can make your art look a lot like Sai and Photoshop! I love this app ,Thank you for letting us enjoy this art program. Thanks from an art lover. Just an easy to use FREE way to either casually pass the time or use professionally to create really awesome artwork. The app is absolutely amazing it works very well I honestly have no complaints except one thing. It would be great when you watch your speedpaint it zooms in when you zoom in and sees everything you did when drawing that drawing. This used to be a feature a long time ago but they took it out. I would really want that feature back! I would definitely recommend this app to artists. It’s free and it works amazingly. A minor thing that bugs me is that when you exit out of an art piece and then when you come back you can’t undo the actions you did previously. I’ve had to start a piece over entirely because of this issue. But overall I still think that it’s a good app. I absolutely love it! It’s quick and easy to learn! It helps me on all of my works. I only use IbisPaint. It’s easy,helpful,and nice to use. I’ve been using ibispaint for a while now and I’ve got to say it’s probably my favorite art app for my phone.I don’t have a drawing tablet,I’d rather not use a computer and my iPad is broken so my phone is my best bet for digital art.i’ve really grown to love this app,I do all my digital art on it.I don’t have any problems with it, the having to watch an add to get brushes can be annoying but I’m fine with adds as long as there isn’t to many adds.so overall i think this is a great app and I probably won’t switch to another,at least until I get a drawing tablet. I’ve been using IbisPaint for around 2 years and even before 2 years until now its probably the best drawing app!i really love it.drawing with it is so easy also it keeps improving every update.without it I wouldn’t improve my art too; I wouldn’t say its perfect but its probably decent because of it.it has so many brushes and options for you to be creative with them!it’d be great if there is a blend option(or there is?) or an edge pen but the whole app is perfect 👌 also the posting option is probably a really great idea.sometimes i look at the top drawings and feel motivated!it also has the video feature which is also great! It’s a really great app to use you can make professional art really easy and it’s simple to use. It’s my favorite art app I will use it forever because it’s so amazing. This is the best to me so far. I can make all my edits in style! 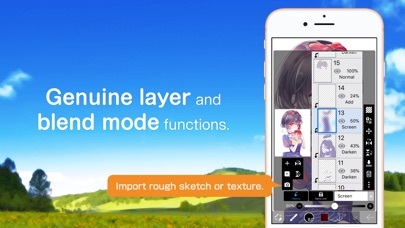 This is the best app to use for drawing, coloring, and editing picture! This is the best app to use! I use this app always and it is the greatest app to draw on that I’ve ever used, it offers a lot in my opinion. Once again amazing app! It’s just overall amazing! I use it everyday! I absolutely LOVE ibisPaint x!I don’t know why but I feel.....comfortable while using it?? ?I’m not sure,but I highly recommend this app for drawing manga or anime or....whatever you want to draw.If your looking for something that’s free,easy to use,(and if it isn’t easy for you,then soon enough you’ll get used to the app),and great for drawing....well...anything,this is definitely the app for you! A few suggestions, but amazing! I love it that’s it I can’t say anything else cause it’s so good!!! Hell if I never knew about this app I would never be here..thank you so much! I love this app. It’s easy to draw and it teaches you how to use it! I use this for all my speed paints!! It's amazing!! LOVE THE APP AND CHECK ME ON YOUTUBE! Best quality for free 🖤😤‼️ I love making edits on this app. It’s amazing I’m making new drawings and I give it 5 stars I’m in love!!! Please make more updates because I can’t wait😍😍😍!!! I love this app. I love this app a lot. It has almost 100% of the things you need to be a digital artist. A great app to explore your creativity. You might be surprised at what you can do with this app. okay, this is the best drawing app I’ve ever come across. I really hope it comes out on pc or Mac.. I REALLY love this app, I draw on my phone all the time with this, the brush variety is so unique with this app, I love how you can turn images black and white and use multiple layers on an art piece! It’s my go-to digital art app and I recommend it to anyone if your starting out with digital art and can’t afford a Wacom or iPad Pro! A+!!! Ever since this new update , It’s super slow, I can’t use my normal canvas sizes without it being SO slow. It makes me EXTREMELY angry!! Please fix that. i’ve been using ibis for a while and it’s the best art program i’ve used so far. However, It was kind of confusing to use when i first started. If you’re going to buy this i’d recommend making a large canvas just to try out all the tools because that definitely helped me lol. It would be cool if there was a history of the colors you used also. This app helped me spot, thank you so much! I am completely amazed by this apps and I can’t find anything even remotely wrong with it! 😍 The layering system works perfectly and I haven’t had one problem with it. Plus there is quite a wide variety of brushes which is amazing. I have no hesitation recommending this app and have already told almost all of my friends about it! I just got this yesterday, and so far, it’s been amazing. I would recommend it for beginners due to the simplicity. Everything saved! When my phone died in the middle of drawing, it saved. I’m so happy! This app is very nice because it lets me express my feelings. If I'm sad I draw something sad. And its kid friendly because Nobody can message you! I am glad I found this app. Thank you. Amazing but a few things. First off, I love this app. I just wish that you didn’t need a twitter or Facebook account to post your speedpaint. (I don’t have either) and the ad thing is annoying. My biggest issue is the Twitter and Facebook thing. But other than those two things the app is amazing 🤩🤩✌🏻👌🏻🦄😅 EDIT: I don’t have a YouTube account either. You should just have an Ibis Paint specific account like the app I use called Sketchbook Desktop. That would be very useful!! Also I think that doing pop up ads instead of what you are doing would be easier for artists. I’ve been using your iBisPaint x for a couple months and it was great! I’ve been using iBisPaint for Speedpaint on my channel and I got lots of views! Also, I can’t make an account on the app to post my drawings. I don’t have Twitter or Facebook, may you add a YouTube Sign in? It’s okay if you don’t want to, but I still enjoy the app! I watched some of your tutorials on YouTube, they helped a lot! Anyways, I wish you great luck on your app and hopes it improves (not in a bad way). I’m not a huge fan of the interface and there are certain things I struggled to figure out. I love using this app to create my digital art!!!! I loved this app so much but something changed when I try to draw it ether draw the way I don’t want it to or erases by itself. The lasso tool doesn’t work and it’s difficult to draw and I spend hours drawing one piece of my work. Please fix this. Thank you for reading. Bye! I may not be a professional critic! But this is an amazing use of time and creativity! i can’t afford a drawing tablet and this app is LIKE a drawing tablet!! i’ve made a few pieces on one of my other devices and it’s very easy to work with! you get the han of everything too :) hope this helps! I’m glad I found a good app which has lots of options to choose from and it’s the free version! Sense I don't have an animation or drawing tablet, this is a GREAT app! I'm able to make AMAZING artwork for FREE! FIVE STARS! It’s Great, there’s a lot of cool stuff! The thing that is so amazing is that I can watch my self draw instead of screen recording so I don’t have to edit any thing. But the thing I dislike about it is that it really doesn’t have the right brushes I need but over all it amazing I recommend getting it! I can darken my projects better and I can make fantastic art!! THIS IS AWESOME! I CAN AUTOMATICALLY PRINT OUT MY PICTURE! YOU DID A GREAT JOB ON DEVELOPING THIS APP! That’s all I can say really. It’s a great app for beginners, and pros. I’ve been searching for SO LONG for an app to color my drawings for my book! I AM SO EXCITED! Thank you for creating this! A+++ Very easy to use! At first it was a bit hard to use since I wasn’t used to it, but once I got the swing of it, I found it very easy to use to make great art. There’s a wide array of brushes and it’s always fun to look at the other art posted on it for inspiration (even if my Japanese isn’t really that polished at the moment, hehe.) A small complaint is how sometimes, while drawing a line, it disappears while I’m drawing it- though that’s probably just some action for undo that I never noticed. It’s great for both simplistic and complex art. I’d say that this is one of the best mobile painting apps out there. It’s my first time drawing digital and I fell in love of what this app has and does!!!!! This app is amazing!!! It is very high tech and professional. I’m a newbie when it comes to digital art but the app looks like I paid a lot of money to have it on my phone (the ads give it away though)! I was just messing around and testing the app out and my doodle actually came out looking like something and not just a hot mess. I’ll definitely have to research how to use this app(and apps like it) because I’m hoping to be able to grow with digital art. I’m all self taught and YouTube videos! Wish me luck and if you want a GREAT digital art app you have found the right one!! P.S. is there a tutorial on how to use this app, creators?? I am a traditional artist naturally, but when I first used this app I found it incredibly easy to adapt to. I have tried many other drawing apps but none of them had the same capability as this one. I would recommend this app to anyone who is looking for a simple and easy to use drawing tool to start with. Im not going into too much detail but this is just amazing, and if you are reading this i highly recommend this because i have tried medibang and this is so much better. For an artist who draws anime this is great, or just someone who draws for fun like myself it is also very amazing! And you can do speedpaints, (personally i reduce the speed on them because the speedpaints are very friggin fast) so that is one thing you could work on but if you dont care about speedpaints or are okay with slowing them down using an editing software its very amazing and i would recommend it if i had any IRL friends who like art, sadly im the only digital artist in my friend group but im rambling like i always do, ill leave the review here (oh no this is longer then i wanted it to be) uh, so its great, would recommend and if you are looking for an app to draw this is what you should use and uh bye! I really Love This! I got to blur, and do Alice correctly! And was so great I guess you should see the picture, you can't really see it but ok. Gacha Studio! I love this app!! It works great for speed draws on YouTube!! Okay so this is a great app all the other apps that I tried didn't work as well for me but this is an amazing app. But the one problem for me is that if I try to fill in a shape with the Fill in Bucket it most of the time it fills in the shape but also the background. It's kinda annoying. The shape's outline doesn't have any holes in it ether but it still colors the outside as well. With this I can't really draw properly if it keeps on doing this. Other than that it's a amazing app so I totally recommend this to anyone that loves drawing a lot like me. Thanks for reading this and I hope you fix this soon. When you do I'll definitely give this app 5 Stars Thank you so much! I usually don’t care for drawing apps that aren’t for my computer because most of the time they’re clunky and want you to pay for everything. This app loads quickly, has plenty of tools, and so far hasn’t made me pay for anything which is shocking. The only thing you have to do is watch an ad and all the brushes are usable for 18 hours which is more than reasonable. I’ll continue using this. Very well done. Sorry I don’t have any suggestions! It’s too perfect! I really love this app, thanks so much for making it! I use it all the time, whether it be to sketch out ideas quickly when they pop into my head or to sit down and create a beautiful artwork based on the tools YOU created! I also enjoy looking at the top created pieces and watching them as a time lapse in order to learn even more about this app! Love all the tools, love the design itself, love the options... five stars! This is one of the few apps I have and I’m addicted to it. As an animator i have to practice drawing and It’s the best app to draw with. Most times i try something new I never get used to it, but I got used to this really quick! No doubt at all recommend it a lot.i can draw so easily. When I got this I was so exited to learn to draw better! I didn’t know what to do first but then in learned! And now I am a YouTube animater now! I will never for get this app and how much it has helped me! I really like the app...I’ve been into art lately and this app helped me get better at it! This app is a great platform for doing anything that comes to online art. This is an amazing app for new or pro digital artists. It is so easy to use and has so many great tools! I’ve drawn my best works on ibis and never had a problem. I especially love being able to get all tools from an ad for 17 HOURS! Also you can get all these cool backgrounds in manga style for free! My only complaint is that when using the lasso tool, the outline doesn’t go away. Idk if that’s something I’m doing wrong or a bug but it’s pretty annoying. Other than that, definitely get this app! I still have trouble with it something. I’ve been using this app for almost a year and I recommend it for anyone who wants to just start as an artist or digital artist. Great app! I had this for a long time I mean it’s not bad in all, but it can be better by, like when you do a text you should be able to still draw and edit your drawing ✍🏽 that’s what it think. It’s good enough for a free drawing app! Makes drawing with a touchscreen easy, even without a stylus! This is a drawing app like no other. It makes drawing with a touch screen so easy and has a great ruler and color systems. I have found absolutely no problems or bugs. 10/10 I love it! This is a great app to use for art, but recently I've been experiencing some issues. Any time I try to edit a layer in an art piece, the game either freezes for a long time, or crashes. I've never had this problem till recently. I don't have full storage and not a lot of apps, so I don't understand why it's crashing or freezing up. I would definitely recommend this app to others, after this is fixed. Thanks. Well, this app is one of the few good free apps that advertise! I used this app to enter a contest, and I won! Thank you so much! Sincerely, an anime artist. Recently, my bucket took is being weird. It changes the color I wanted to make it slightly lighter and colors the entire lineart area. I love this app but I really want a camera feature in the app where you can take the picture their rather then having to take it in camera go back to the app and then delete it. This app is great if you like to make digital art by hand! It has great tools, and fun things to try! IbisPaint X is awesome! Please let us be able to post our pics on tumblr. This is amazing! Though I wish the tools weren’t THAT complex. But keep it. Thanks! It’s a great app to draw! I have been using IbisPaint X for a long time and I made a drawing of my dog and the app was glitchy... normally when I exit the app it saves my drawing, so I exited the app but then it made me restart the WHOLE ENTIRE DRAWING! :( I worked 15 WHOLE days which now I have to restart the whole drawing, plz help. But other then that, the app is pretty good! I’ve tried SO many free art apps and almost all of them never give you all the full access and this app does that and so much more. I recently joined x-box with my friend and we started a group, where I designed the logo, and I was worried that the app would swarm me with adds or purchasing brushes, but It didn’t. I got a GORGEOUS logo with little to no effort! I would definitely recommend this app to many other! This app allows me to draw whatever I want and it works so perfectly! THIS HELPS ME TO EMBRACE MY ART! I love this app because it’s easy to learn all the tools! I just started using this app so I'm still learning, but what I've seen so far, I'm going to like this a lot. Thanks Wm. This is an amazing app. You can just relax and draw awesome art. I love that you can draw WHATEVER you WANT! This app is tots cool!! I’ve always struggled finding a good art app and Ibis Paint is amazing for art!! Even on my phone. What about the ombré effect! This is the best drawing app I downloaded! There are no glitches or anything so I’m very happy with it! Thank you so much for making this! I’ve been using this app for icon edits and drawing and it works wonderfully! My only criticism is that I wish you could put your works in folders. Like I said I have a lot of icon edits and it would be cool to put them in one folder and my art in another so my gallery wasn’t so cluttered. Other than that it’s a great app and it’s fantastic for artists on the go! I Love this so much u should get it! Try it out . Fun app not lots of cool tools for drawing. It’s fine with me but it’s kind of hard. I wanna be a artist and the add made it look easy but I was very confused on this worked and I don't like it. I will still play it if I want to and I really board but other wise I won't. This art tool is the first one in years that worked well on my phone. Had fun drawing with this app!! This is such a good art making application.you can make anime characters and what ever the heck you want to make.I love this app you should definitely should get it. 5 stars outta 5 !!!! I am just getting started but this is a lot of fun! Love everything about this app. This is one of the best drawing apps (in my own opinion) that you can get for iOS 1. It free 2. It’s also pretty easy to use and 3. When you are done drawing something it shows you everything that you did, AM I THE ONLY ONR THAT THINKS THAT THATS SO COOL!!! Whenever I go on this app, I’m immediately locked on it. In a good way though! I‘m not gonna lie, This is probably the best art program i‘ve ever had to draw on! But there is one teeny problem: It slows down and glitches a LOT when i‘m drawing in a place with no internet. I know that Drawing shouldn‘t require internet, so why is it so slow?! I timed it on my phone and it took exactly a full 5 minutes to save my drawing. My tablet IS up to date(I use IOS) and ibis Paint X is up do date. So what is wrong? Does it require Internet to draw AND save a drawing now? What‘s going on?! This gives me an opportunity to show my love to draw on an app on my phone that I take everywhere in life. This app is soo good. I couldn’t take my eyes off of this app. Supercalifragilisticexpialidocious! One of the best drawing and speed painting apps out there. Best drawing app I’ve used. The brush is very nice! Everything is very useful. And there is a time lapse of you drawing your picture! Very cool. You can title your masterpiece and upload it! Too bad for me because I don’t have a Twitter and Facebook account. Sad. But overall, this app is amazing!!! 10000000000000000 out of 10!!!!!!! I LOVE IT the app is amazing!!!!!!!! TOTAL 5 STAR!!!!!! This app has a great user interface and is easy to learn. Even without paying, this app is great for art. I am not very great at drawing, but this app allows my art to be beautiful. I use this app for thumbnails on YouTube. Great app! I recommend it! It’s a truly great app, I’m fine with the purchasing, since you can sample them for a few days with an ad ( which is usually only 30 seconds ) and its totally worth it! One of the only real problems are the mildly complex way to make your art. The art I make is usually easy to do, but a problem is sometimes I do an action, and without pressing the button it reverses it. ( It’s abit annoying in my opinion ) I have a suggestion to add a way to make your own sizes for a small fee, like 0.99 cents. It could help with making art easier to make, and could bring up the rating a bit on this app. I go to an art school that offers full access to the adobe suite and I was worried that I wouldn’t find any programs that would run like photoshop without breaking the bank. I am incredibly incredibly impressed by the quality of work I’m able to produce, and the app and overall function is very intuitive. Thanks ibis team!! I say this because some tools and things is confusing. It would be useful if Ibis Paint X could provide the option to organize works into folders. It’s very easy to use, and I’ve seen many people use it before!!!! Pretty cool app! Still experimenting with it but I really like it so far! IT LET ME DO ME AND MY BF!! Well yeah it’s only for Chinese people? Well no one ever noticed me... BUT I STILL LOVE ɪᴛ! ᴄᴀɴ ɪ ᴜsᴇ ғᴏɴᴛs ᴏɴ ɪᴛ!? Idk! Você pautei me coação? IDK DID SHE!? NO IBIS PAINT DID NOT!!!!! Oh I looovvveee iiitt! I love this so much when I edit my photos it has all the stuff I need I recommend this game! 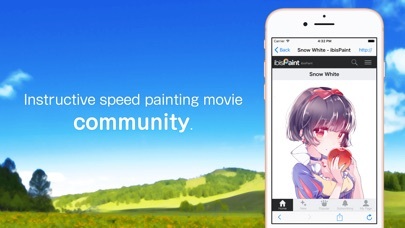 This app deserve better than any other art apps! I’ve had this app for quite a while now, and it’s by far the greatest drawing app that I’ve had. But, there is something thats been bothering me. Anytime I try to add new layers on new canvases, it only lets me add 3 of them and pops up with a message saying that I’ve reached the maximum amount of layers. It lets me add new layers on previous canvases, though. I’m not sure if it has anything to do with storage; when I deleted some older drawings, I went back to the canvas I was working on and it did nothing. This might just be happening for me, but I’m very confused as in why that’s happening. Personally I just wanted something with a symmetry ruler and a good color range for me to play around with. I couldn't even figure out how to use color! In my opinion, this is more professional than I need. Sorry! LOVE IT LOVE IT LOVE IT!!!!!!! I FREKIN LOVE IBIS PAINT X. I have been using it for 2 years now and have found it very fun, and great to use. I love to draw with a stylus. Who needs a art tablet when you have a phone, and ibis paint? 5 stars. I would rate 1,009,999,983,838,283,388,999 if I could!! This app really is amazing for drawing anime! There are so many cool features that makes your art stand out, and the app is overall very easy to understand and use. However, there is one HUGE feature I feel this app would be so much better with. A "copy and paste" feature. I would love to see an option to copy and paste your drawing in the near future. When you use the lasso tool, I think that in the transform side bar it should give you the option to copy and then paste what you have selected. Thank you! IbisPaint X is great for beginners and advanced artists. I personally enjoy the app and think it is great! It’s so easy to draw and sketch and paint without any mess!!! I thought it was just videos of people on some kind of photo shop but it’s real! I think it’s really good although it’s hard to control all the kinks. But I think that might change once I get used to it. Great app but can u add this one feature? I only downloaded this an hour ago, and I have been on that INTIRE time!! I love this app already! Although I hope that we can get bigger thickness in the colors, and a way not to go over black lines. GET THIS APP! ITS WORTH IT! This app is truly a wonder for budding digital artists. It's very simple and straightforward, and allows you to create some amazing art with the wide variety of tools the app offers. There are ads, but the ads are barely noticeable and don't affect the actual drawing. On the subject of glitches, this app hardly glitches, and when it does, it is a minor thing. It'll probably erase the last line you drew instead of the whole drawing, like many drawing apps out there do. This app is easy to use and beginners, intermediate, and advanced artists can use it, but it seems to be geared towards beginners. The only thing I'd add is a better walk through because it is quite finicky. I made square art, but when I export a video, the resulting video has my iPhone screen size and not the size I choose. This is a bug or I am doing something wrong ? Thanks !! Takes some getting use to but once you've got a hang of it, it's a very productive app (: extremely pleased! So easy to use. It makes art fun again without all the mess and supplies. I draw and doodle to de-stress and this is so nice to have on hand without carrying around a bunch of art supplies. This is such a good app! I love it! But for some people it’s a bit complicated. But everything else is great! But most people in general know how to work this! Really enjoy this app. It’s the best paint app I’ve ever used on a mobile device!! You can do art stuff! Just download it. It actually works and you can art! If you're bad at art don't expect you'll be perfect with this app because y'all need to practice if y'all wanna be good. But y'all need to download this app. Thank you team for this app! Best Digital Art Software on Mobile!!! K. Here’s what I think. It’s Really. Really. Really. Hard to control. How do you remember all those controls? AND ALSO, ITS NOT FOR PEOPLE THAT ARE FLUNKS AT ART. This is by far the best app I have ever used for drawing. So sensitive. Excellent. I love drawing by this app. Really stimulate my creativity. And is so easy to learn. REALLY GREAT !! THANKS FOR INVENTING THIS APP! I think the app is great! I had trouble at first but I watched some tutorials so now I play the app EVERY DAY! I love this app it’s amazing I recommend it to everyone! 10/10!!! < Update>. will Do!!! Welcome to the (almost) entirely free digital art app! Ibis Paint X, one of the best of its kind, here’s why. I. It’s not glitchy. II. You can share you work with other users and maybe win first place on the leaderboard! III. It works well with your finger, a pen (of any sort), and I’ve even tried it with normal house products (look at me lol). IIII. And lastly, though it has so much more to offer, tons of brush choices! TONS! and lots of tools that are easy to use. Ok, well, one last thing before you get it: It isn’t fully free, there is a subscription. What a great app. I’m not good at this on my phone but it’s really fun to mess around with! It’s mostly free and has options of just watching a video instead of paying. Since I’m not exactly a digital artist I don’t recognize any problems, or they just don’t bother me! Get the app! I have tried a few drawing programs for a tablet, and this is by far superior to the others, and being free on top of that makes it even more impressive. Couldn’t be happier with what I’ve seen of it so far. it keeps saying “video playback error” when i try getting the brushes for free, ive been using this app for 2 years and it’s been being weird. This is a great app and that’s not even considering the fact that it’s free. I’ve been using it for the past month or so and I’ve not had a single issue and I’ve only gotten better with my art so discovering new tools and techniques is a cherry on top. Highly recommended! Honestly one of the most full featured apps I’ve used on here. Multiple layer support, same blending modes you find on desktop, huge amount of brushes to pick from, and no lagging!!! If I could recommend any app for your iPad, this would be it. Great app for digital art!!! I just recently started using ibis and it is great! 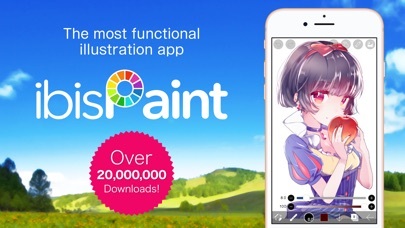 It’s a very good app for people who are beginning in digital art. It’s a really amazing app for being free!!! The only problem is that the largest brush size is VERY small. I need a larger brush to fill in large areas without using the fill tool. ibisPaint X brought life back to my old iPad 2! As we all know, as Apple and its apps continue to update, the older devices tend to get abandoned. I wanted a new drawing tablet, one where I could see the screen and use my fingers. Thankfully for me, I don't need to pay money for some expensive tablet, because ibisPaint X is an amazing program that even works on older devices. What's more, everything is available for free! (As long as you don't mind a couple ads, of course. You can pay to turn them off.) ibisPaint is a free app that I can't recommend enough for artists! The BEST drawing app ever!!!! In my opinion it is very fluent and very easy to use unlike MediBang. There’s an entirety of brushes and sizes to choose from, and choosing your digital style is easy! I think this is great and incredible app. It’s awesome! I’m not really good with traditional art, and am more comfortable with making digital art. This app is really well-made and the tools and layout are absolutely stellar! Absolutely amazing! This is what I use for all of my digital work. But something I wish was different is how big the blur tool is and the effectiveness of it. I want it to be so much stronger, so it will take less time. If you would do that it would be 5 stars! That’s all I have to say really. However, I would appreciate if we could actually SCROLL through today’s top drawings, or maybe even turn them off. It’s fun, it’s versatile, it’s well planned and it offers a lot...something for everyone!!! A fantastic ‘Artistry Tool’ in more ways than one. It did have a learning curve for me but once I learned it and used it, I found it to be GREAT!!!!! Highly recommended! This app is easy to use and it produces professional level work. The quality of the tools and variety allows you to match what professional artists create on a computer, but this is all in the convenience of a mobile device. If you don’t have the money to access all features, and it is definitely worth the cost, it currently uses ads to use everything available for a limited time. And I mean everything. Much credit to the developers because this app is amazing. It gets a little confusing but it’s a little fun 👍👍👍👍👍👍👍👍👍👍👍👍👍👍👍👍👍👍👍👍👍😃😃😃😃😃😃😃😃. I have only TWO LAYERS and ONE of them is an imported image! How am I supposed to color it with one usable Layer???? I’m so upset because I was just starting to get into ibis paint before the update, and I’ve been trying to just deal with this problem! I can’t deal with it anymore, I may as well delete the app since its not usable anymore. Ibis paint should at LEAST have a limit of FIVE layers because five is reasonable.. Not two because with three it says the app is running slow and you can’t draw because of the lag. Ibis paint, be so kind and fix this, I really do love the app but I just can’t stand the thing about layers and I’m sure many agree. Also that means your preview for the app isn’t accurate because in the preview it has more than 3 layers. More than 10 layers. I love this app but one problem I have faced is that I am working on a project and my brush has stopped working. It won’t let me draw,otherwise its an amazing app. This app is really good but I would like if the drawing tool was less blocky unless that’s just my iPod but over all this is an amazing app I love all the different features with it. I absolutely love this app. I made some amazing things with the plentiful options on this game. They have so many brushes and colors to choose from. Also, if I don’t have a brush unlocked, all I have to do is watch a short add to get it! This game is perfect for those who like to draw mangas or really any anime type things. SO AMAZING! P.S I was looking at all the reviews for a solid hour and not once have I come by a negative one. This is such a good game!!!! It’s really fun to just look at your art when it’s done!!!!! I saw the add, haven’t even used it... but it’s trash. This app is great. It’s a little complicated at first but as you get used to everything it’s amazing! I’ll definitely recommend this app to anyone who loves to draw. I love ibis! I’ve been using it for years now, but I think that you should be able to create an account and log in, that way when you need to switch devices or delete the app, you can still save all of it and work on it again. One time, I was messing with the sensitivity settings to make it compatible with my stylus, but I tapped something I didn’t want and couldn’t figure out how to fix it, so I had to delete the app and I lost everything. I also got my own phone recently and I’d like to save everything from my parents phone and be able to keep it on my own. It’s not that big of an issue I guess, I still love and use the app, but this is a little annoying. I find this entertaining. It makes me happy to use and it is a great app. I’m making the best stuff ever! Ibis paint is one of the first drawing apps that I got recommended by my friend ever since I’ve been in love with this app I just got in in my iPad Pro the apple pencil really helps make the drawing look smaller and sharper. I love this app ! I love the app. Even though I can’t draw that good, I can practice on this app. Sure you have to watch an ad to gets paint brush, but it’s not regrettable. I like to draw digitally and do Gacha Edits, so this app in particular was very cooperative, flexible, and had many options to choose from; this is a great app that I highly recommend! As a person who wants to be an animator I LOVE IT! This app is very convenient for my drawing style. I like to usually draw things on one layer, and the brushes can provide the necessary look for my style. 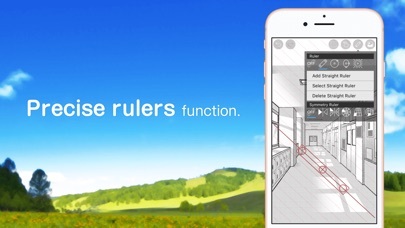 Not only that, I think it's a really good app for those who draw with line art. You can also color in line art taken from a picture, so in other words, it's very good for those that like to color their traditionally drawn line work. I do all my artwork on here, and it is amazing! I recommend this to kids and parents of all ages! This app is pretty nice, it’s good for editors and people who like to draw. Except I am having some trouble with this app. It won’t let me erase the background and I’m having trouble using all the items like the pens, magic wand, etc. I love how it’s just an easy way to do your art in At first it can be hard to understand but then you can get the hand of it or should I say the art of it, anyway I love the app and I definitely recommend this app! It’s the most amazing and convenient paint tool to use!!! How awesome this app is!! I literally am stuck to this app I can’t believe I found it this app helps me relax and I can create whatever I want I actually impressed my family with this app they are so proud of me and what I accomplished I can create my favorite ships and do fan mail to my favorite YouTubers I love this app so much so what are you waiting for go get this app!!!! No words can really describe how wonderful and easy this program is for creating art. Just amazing!! Thank you!! Pretty good for a beginner! Since I am yet a beginner and still really young, I really enjoy this app and all the tools I can use. I can make tons of artwork but sadly I’m moving onto procreate soon because I’m getting a Apple Pencil. This is still a really good app! THIS AP IS AAMMMMAAAZZZZIIINNNGGGG I AM A HORRIBLE DRAWER BUT WITH THIS APP MY DRAWINGS ARE LOOKING BETTER THAN EVER!!!! This is the best app I've used, it has amazing features but for some reason my pressure sensitivity isn't working?? It says it's on but it's not. Its grey and won't let me do anything is there any way to fix it? I love this a lot. I have been using IbisPaint X for a couple of years and I still love it. I have been satisfied with this app. I might want to recommend to add a few more brushes and add some more backgrounds though. Other than that, this app is awesome! WOULD RECOMMEND! I was trying so hard to find an animation outlet for my photos. After playing around with this app, I feel like I could do some really cool stuff. No, there is no challenge this is the best mobile platform. I started using it for just art but I started using it for editing, and it’s so great for both!I highly recommend this app the artists and editors that like an easy to use app that has so many great features. Easily the BEST app for drawings with screen tones!!! It’s amazing they everything your could ever want for art on your iPhone or iPad. I use it everyday to create my Gacha Life memes, but sometimes it doesn’t let me paste the thing I copied, so can you fix this problem, anyways keep up the good work! Edits in this app are the best! I didn't know how to make edits before i saw a the beginning of a tutorial and i just finished it myself! It did not show me how to make anime and I am mad about that!!! I wish there was a watercolor brush on here... one that ACTUALLY looked more like one you’d see painted in real life but otherwise I love how you can save the video, import photos and edit them, and I love using this! Super fun!! I can draw when I want to when my iPhone is charged!! I really enjoy this app! I wish I can use it forever!!! I hope you guys have a wonderful day and merry Christmas!!! I love this app! It is very well made and thought out. There’s so many possibilities with this. Any artist/illustrator should have access to this amazing creation. Thank you! Can’t wait to shift to digital!! i like it a lot and this is my normal go to for editing and art, but i accidentally deleted it, so i redownloaded it, and now it won’t let me turn and slant the canvas at different angles and it’s really irritating, so for now i’m gonna have to turn to other art apps. This is me in wolf from and my favorite animal are wolfs because there so interesting to me. Im sure you've heard by now that there are these people called Gachatubers. I, myself, am a gachatuber. (A gachatuber is a youtuber who posts Stories, song memes, music videos and more using one of the following mobile apps: Gacha studio, Gachaverse or Gacha life.) And to be considered a “Good editor” I guess, you need to have a level of sense for editing and shading. That is why this app is 11/10! Totally recommend for any artists or gachatubers! I have just started using ibisPaint X, and so far, it’s phenomenal. I have only made 1 piece, but I love ibisPaint. The layout is nice, and the tools are well made. I look forward to making more art and discovering more neat gadgets and gizmos and improving my art even more. Thank you, ibisPaint X for this drawing app. I don't like it....I love it, it’s great for drawing and others.